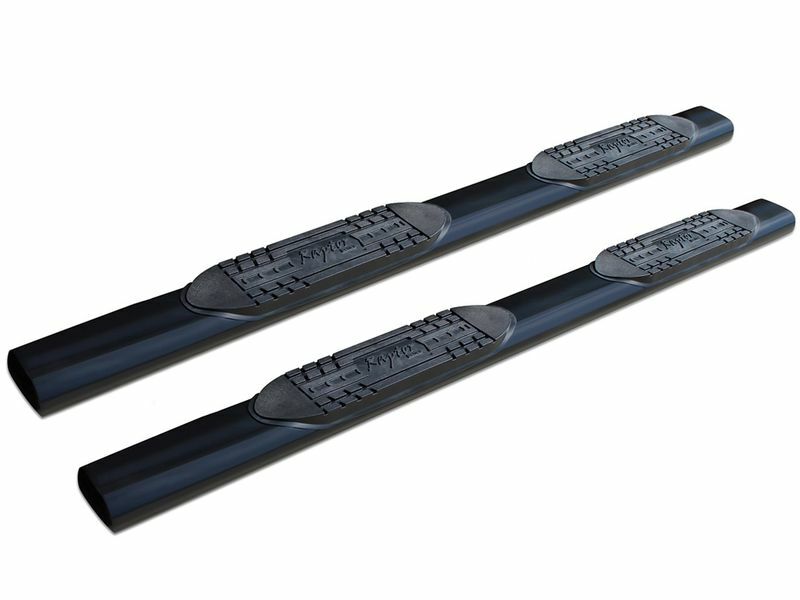 Raptor Series is proud to introduce the all new 6" black oval step tubes. These monster steps provide an extra wide 6" saddle style step pad for better footing, and feature a 500 lb. weight rating. Each monster tube is backed by Raptors superior 10 year warranty. The black E-coat finish provides a semi-gloss shine that protects the metal bar underneath from scratches and corrosion. Includes brackets specifically designed for your vehicle so installation can be handled yourself. Installation usually requires no drilling depending on application, preventing any damage from occurring during installation. If you have any questions, give us a call and our experts will help you with your purchase and guarantee fitment for your vehicle. Easily install these no drill Raptor 6" step boards in your own garage!